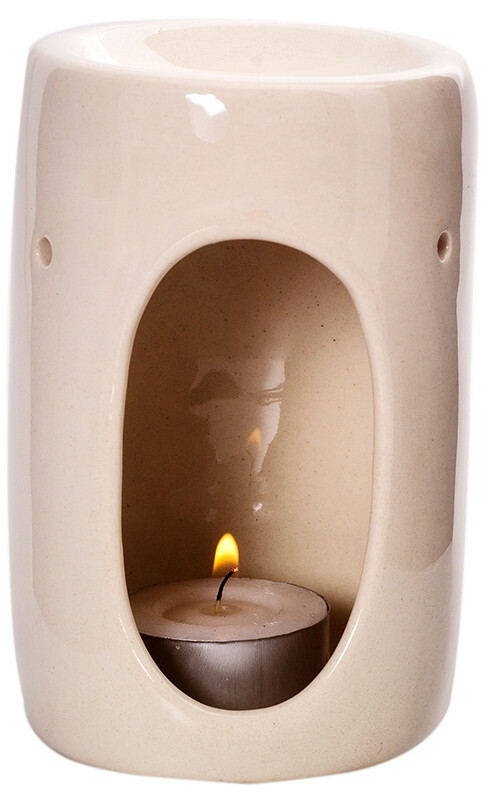 This ceramic oil burner is perfect for adding your favourite scent to your home, or for use during an aromatherapy treatment; use it with SOiL essential oils or soy wax melts for best results. 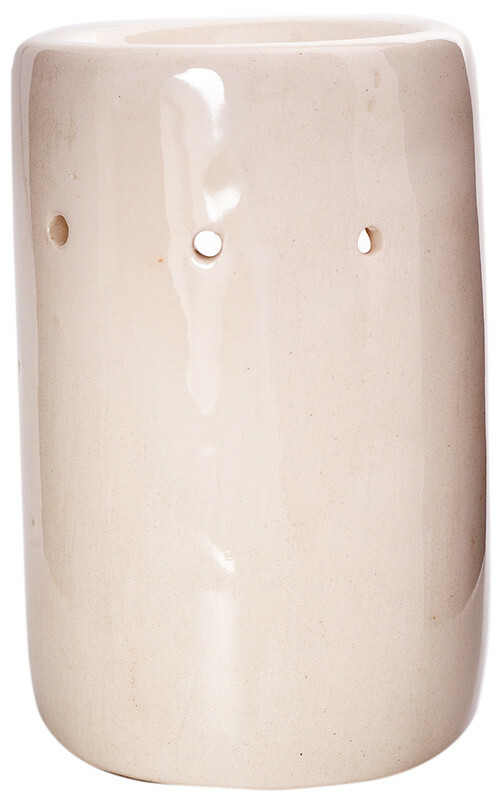 Using the gorgeous aromas of pure essential oils in your home is so easy with this beautiful ceramic burner. It's also ideal for use with SOiL's delectable wax melts. Using essential oils: Add 5-10 drops of essential oil to a little water in the top basin of the burner. Simply light a tea light candle and place in the bottom compartment of the burner. Ensure that there is always water in the basin for the duration of use. You may top up with essential oil as needed. Using soy wax melts: Just pop one soy wax melt in your oil burner, light an unscented tealight and sit back and enjoy the aroma. After 8 hours burn time per soy wax melt, discard the remaining wax as it will have lost its fragrance. Simply wipe burner clean for next use. Been using this burner for more than a year now. Works great with the peppermint oil for me. The other oils I use i my diffuser as it is probably more effective that way to not destroy the properties in the oils. Not Great. Mine was scew and i find the 'bowl' part very shallow. I bought a more affordable burner on FTN that works much better! I recommend this burner, especially with the Soil essential oils. This burner works well. I enjoy burning essential oils around the home and the burner diffuses the scents very well. This ceramic burner is exactly what I was looking for! 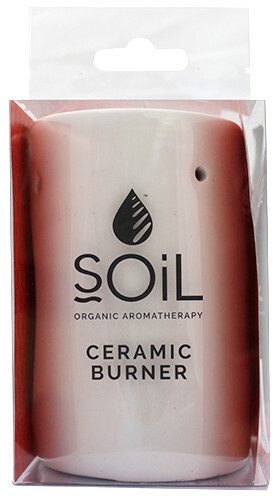 Soil is a reputable brand so I knew it would be a good choice as an essential oil burner. I am very happy with the product. Beautiful bought it for a friend and had to get one for myself! Bought this for a friends birthday - she can't stop raving! Love that it's an all-in one piece burner. Bought it as present for my sister-in-law she absolutely loved it. looks beautiful. This burner looks adorable - my only complaint would be that there is not enough ventilation for the flame. Works best if I light the candle outside the burner and then place it in the candle "slot"
I love my burner. Will be using it almost everyday when at home. Happy customer! First time doing business with FTN. When I purchased this burner, the first thing that caught my eye was its appearance. Beautiful with the grooves, etc. The product I received is completely different to the one advertised. It's still Soil brand, but not the one advertised (to the one which I purchased - this one is smooth with smaller holes). I can understand if they ran out of stock, but I followed up the mistake and apparently, they don't sell the type they advertised anymore. The person I spoke to reassured me that they would update the info on the website immediately and now it's been just over 3 weeks and they still haven't updated it. The part that aggravates me is that at check out they tell you that should there be a problem with the item/s you've purchased that they will notify you BEFORE delivery to let you decide whether you'd like to proceed with your purchase or change it. As an apology for their mistake, I could either receive a full refund or 32 loyalty points. Unfortunate. The burner, however, works perfectly fine just doesn't look like the one I first fell in love with. I read the previous review, thought about it and then decide I would take a chance. So very glad I did, I use this burner with the bee wax t-candles as they burn slowly and use the SOIL Melts in the top...I don	need to add any water. The result is amazing. I have it placed in an open space in the middle of my house where I usually meditate. The SOIL Melts are intensely fragrant and the entire - medium/large - house is filled with a delicious fragrance.